mama elephant | design blog: INTRODUCING: Little Girl Agenda + Little Boy Agenda + PROMO! 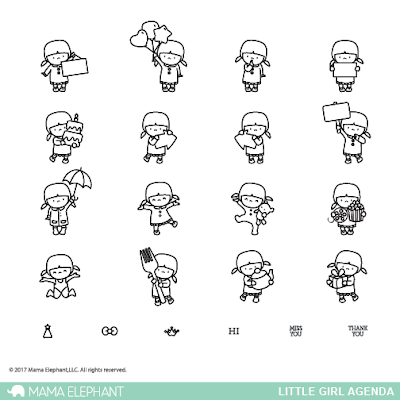 INTRODUCING: Little Girl Agenda + Little Boy Agenda + PROMO! 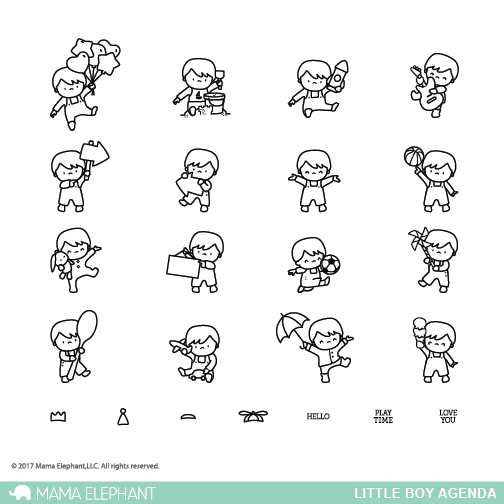 This is the final Intro and we're coming at cha with two sets again - Little Girl Agenda and Little Boy Agenda. They are both adorable and lovely in every way - a fun addition to the "Little Agenda" line we've been developing the past year. I created two fun cards using the new sets, mixed and matched both sets using the new Grid Window and Tri-Window die covers. First card is inspired by the genius of Andy Warhol for the colorful background. Doing this always throws me back to my art history days of High School. This card is eprfect for kids - cause they love bright, happy colors and they love seeing all the different images! The second card is along the same lines, just goes to show you how it easy it is to create fun scenes using the new dies and a sentiment isn't always necessary for the card front. Okay, now onto a fun announcement... make sure to join us tomorrow, no tonight when the release goes live at 12AM EST! 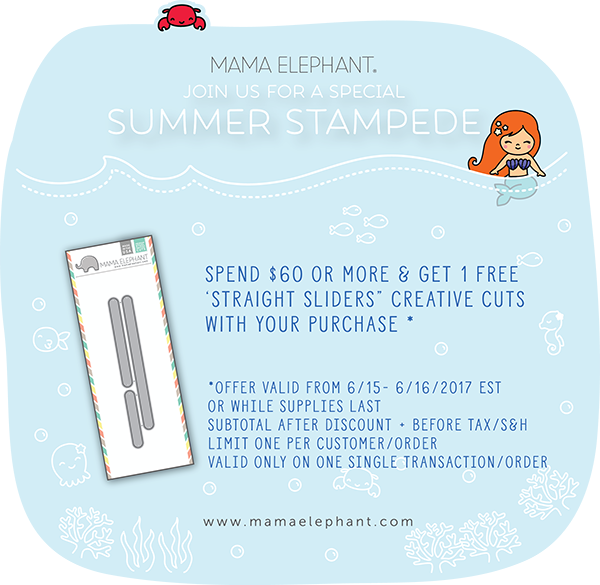 For 2 days only (until tomorrow night 11:59PM EST), we are giving away a straight slider set for every purchase over $60. We only have a limited amount on hand, so the promo goes on until supplies last! Here's a quick card using the Straight Sliders... fun right?! soooo cute! I can see this being used both four planners, tags and cards! so versatile! Such a cute stamp set and adorable card!